On September 18, 2017, EquipNet Inc.’s subsidiary, EquipNet India Pvt. Ltd., celebrated its 10th anniversary within the surplus asset management market. EquipNet is widely recognized as the global leader in helping leading manufacturers track, manage, sell, and purchase surplus laboratory instrumentation and manufacturing equipment. The Indian subsidiary has been operating from its Mumbai headquarters since 2007. According to an IBEF report*, the Indian market has been at the forefront of growth in the manufacturing sector, with an almost 8% growth rate from 2016 to 2017. By 2020, it is estimated that India will become the fifth largest manufacturing country in the world, creating 100 million new jobs by 2022. 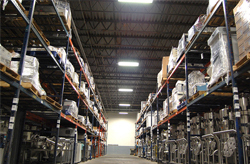 US-based EquipNet, Inc., has become the world’s largest surplus asset management company. The company offers a range of tools that allow companies to take control of their assets. For example, a proprietary software platform ARMS™ (Asset Redeployment Management System), can be installed across a client’s enterprise, allowing that company to identify, track, appraise, redeploy and sell its idle and surplus equipment. EquipNet also runs the largest online marketplace for pre-owned laboratory instrumentation, manufacturing equipment, and plant utilities. The company is one of the largest industrial equipment auctioneers in the world. Its main markets are in the biopharma, chemical, consumer packaged goods, and semiconductor sectors, where the company’s specialist knowledge of the markets is proven to deliver higher value than many of the generalists in the market.